Background and Objectives: (1) To evaluate dimensions of the foramen magnum (FM) among males and females and to establish its role in sexual dimorphism using cone beam computed tomography (CBCT). (2) To evaluate sagittal diameter, transverse diameter, area, and circumference of FM among males and females. Materials and Methods: Two hundred and eighty CBCT scans (140 males and 140 females; age range, 20-80 years) were selected for this study. The sagittal diameter, transverse diameter, area, and circumference of FM were measured, and data were subjected to discriminant analysis for the evaluation of sexual dimorphism. Results: The area of FM was the best discriminant parameter which is used to study the sexual dimorphism with an overall accuracy of 72%. Interpretation and Conclusions: It can be concluded that the reconstructed CBCT image provides valuable measurements for the FM and could be used for sexing even when other methods are inconclusive. Background and Objectives: Oral squamous cell carcinoma (OSCC) is the 8 th most common aggressive epithelial malignant neoplasm worldwide today. The eosinophil may be a "multifaceted cell" that can be associated with wound-healing processes, as well as to tissue damage which has increased the speculations around tumor-associated tissue eosinophilia in malignant tumors. The aim of this study was to detect the role and quantitative analysis of tumor-associated tissue eosinophils in different histological grades of OSCC. Materials and Methods: A retrospective study was carried out in sixty cases of histopathologically graded OSCCs. Tissue sections of 4 μ thickness were made from paraffin-embedded tissue blocks and were stained with hematoxylin and eosin. Eosinophils were counted under randomly selected twenty high-power (×40) fields. Data were subjected to statistical analysis using ANOVA test. Results: Higher mean eosinophils were recorded in well-differentiated squamous cell carcinoma (WDSCC) followed by moderately differentiated squamous cell carcinoma (MDSCC) and poorly differentiated squamous cell carcinoma (PDSCC) groups, respectively. The difference in mean eosinophils was found to be statistically significant between WDSCC and MDSCC (P < 0.001), as well as between WDSCC and PDSCC (P < 0.001). Conclusion: Tumor-associated tissue eosinophil count is higher in WDSCC as compared to moderate and PDSCC. Background: Malocclusion in the vertical and sagittal planes is easy to observe whereas it is difficult to diagnose malocclusion in the transverse plane. There are yet no criteria defining a normal transverse occlusion. Aim: The aim of this study was to identify a ratio that defines a normal transverse occlusion. Study Design: This was a retrospective study. Materials and Methods: A total sample of 151 maxillary dental models (M = 55, F = 96) in the age range of 12-16 years were randomly selected, with 73 models in control group and 78 in the study group. All the models were mixed up and given to an operator for the measurement of intercanine width (ICW) and inter-palatal molar width (IPMW). Statistical Analysis Used : The data were statistically analyzed using SPSS software version 16.0. Chi-square test was performed to test the statistical significance difference between the groups at p ≤ 0.05. Results: Nearly 98.60% of normal arches were found to have an IPMW to ICW ratio of 1:1 ± 0.05. On further analysis, it was found that when IPMW ≥37.45 mm, then the case may be considered to have normal arches, and if the ratio between IPMW to ICW is 1.15:1 ± 0.05 or more and IPMW is <34.92 mm, then the case may be identified as deficient arch. Conclusion : The IPMW-to-ICW ratio can be used to differentiate deficient and normal arches. This hypothesis (Banker's hypothesis) is an easy and noninvasive method, using only two parameters, developed to help clinicians in identifying normal transverse dimension. Context: Gender estimation is one of the most important parameters in forensic identification. Teeth being the central component of the masticatory apparatus of the skull is a good source of material for civil and medico-legal purpose. 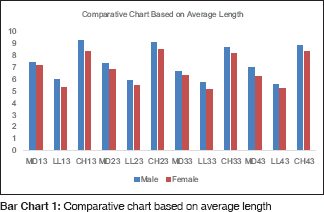 Gender estimation using dental features is primarily based on the comparison of tooth dimensions in male and female. Aims: To analyze the presence of sexual dimorphism in maxillary and mandibular canine using mesiodistal (MD), labiolingual (LL), and height of crown. Subjects and Methods: A total number of 100 subjects (50 males and 50 females) were included in the study between the age group of 20 and 25 years. 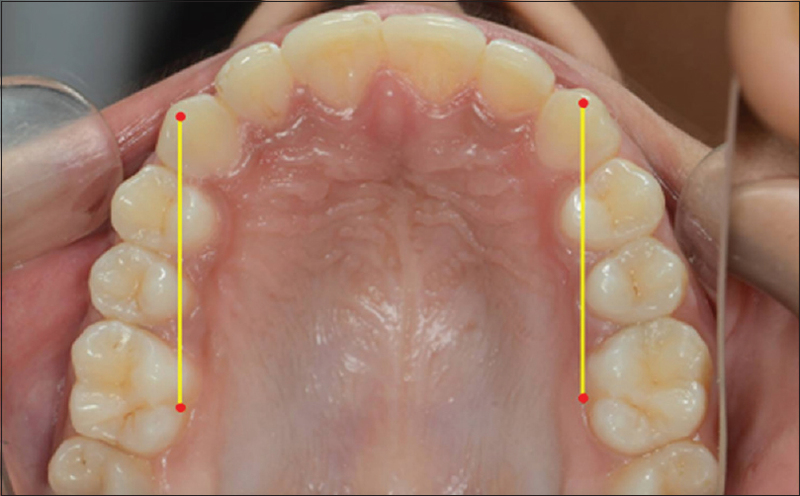 Dimensions (MD, LL, height of crown) of maxillary and mandibular canine were recorded with a digital vernier calliper. Statistical Analysis Used: The data obtained is subjected to statistical analysis using Student's t-test and intra-reliability test. Results: The present study revealed that male shows larger mean dimensions of teeth than female. Out of all the four canines, right maxillary canine shows highly consistent results for sexual dimorphism. Hence, by drawing the conclusion, it can be stated that right maxillary canine can be used as an adjunct along with other procedures for gender estimation. Conclusion: The findings support the usefulness of employing odontometric analysis of the canine teeth in gender estimation. It is an easy, reproducible, and objective method. Background and Aim: Dentinal hypersensitivity is a relatively common problem experienced in clinical dental practice and is characterized by short, sharp pain in response to stimuli such as tactile, thermal, evaporative, osmotic, or chemical. Several agents and treatment modalities have been used in the treatment of this condition. This study was conducted to compare the efficacy of four commercially available toothpastes in the reduction of dentinal hypersensitivity (DH), based on the hypothesis that calcium sodium phosphosilicate (CSPS) group had a better efficacy of the four. Settings and Design: This study design was a prospective, single-blind, randomized, parallel clinical design. Subjects and Methods: A total of 160 cases (93 males and 67 females; aged 20-60 years) were randomly divided into four groups: Group 1 - toothpaste containing 5% potassium nitrate; Group 2 - toothpaste containing 5% CSPS (NovaMin); Group 3 - toothpaste containing 10% strontium chloride; and Group 4 - a herbal formulation. The patients' DH scores for tactile, thermal, and evaporative stimuli were recorded on a visual analog scale at baseline, 2 weeks, 1 month, and 2 months. Statistical Analysis Used: The data were analyzed with Wilcoxon signed-rank test, Kruskal-Wallis test, and Mann-Whitney U-test (P < 0.05). Results: The four desensitizing kinds of toothpaste containing different active agents were effective in relieving dentinal hypersensitivity. However, CSPS group showed a better clinical response at the end of 2 months. Conclusions: The CSPS group showed a better reduction in the symptoms of DH. Background and Objectives: Photodynamic therapy (PDT) is a local noninvasive treatment modality without side effects caused by antibiotics. The aim of this study was to evaluate the efficacy of adjunctive use of PDT with scaling and root planing as compared with SRP alone in the treatment of chronic periodontitis. Subjects and Methods: Twenty participants with chronic periodontitis having probing pocket depths (PDs) of ≥5 mm were selected for the study. Patients were randomly divided into control group and test group with ten patients in each group. Full-mouth SRP was performed in both the groups, followed by PDT in test group. Assessment of plaque index (PI), gingival index (GI), PD, and clinical attachment level (CAL) was done at baseline and after 3 months. Microbiological assessment of Porphyromonas gingivalis, Tannerella forsythia, and Treponema denticola was done by polymerase chain reaction (PCR) at baseline and 3 months after the therapy. Results: There was a significant reduction in PI, GI, PD, CAL, and microbiologic parameters in test group, following SRP and PDT, when compared with SRP alone in control group. Conclusion: PDT in conjunction with SRP has shown additional improvement in periodontal parameters when compared to SRP alone and has a beneficial effect in chronic periodontitis patients. Purpose: To assess the hypothesis that there was no difference in effect of 10% and 15% tooth bleaching agents on color stability of materials used for provisional fixed dental prosthesis. Methodology: Fifteen samples from two materials used for provisional fixed dental prosthesis: methacrylate-based and composite-based materials and 15 preformed polycarbonate crowns soaked in bleaching gel or distilled water. Spectrophotometer recorded color of specimens at baseline, after 3, 7, and 14 days. Data were statistically analyzed using two-factor ANOVA test to compare the color stability of tested materials. Results: Methyl-based provisional material exhibited statistically higher color change when exposed to 10% and 15% bleaching gel (delta E*: 9.0 and 11.1, respectively) as compared to distilled water (delta E*: 2.9). Delta E* of composite-based material specimens exposed to distilled water was statistically higher (6.3) than specimens exposed to 10% and 15% bleaching gel (1.5 and 1.1, respectively). 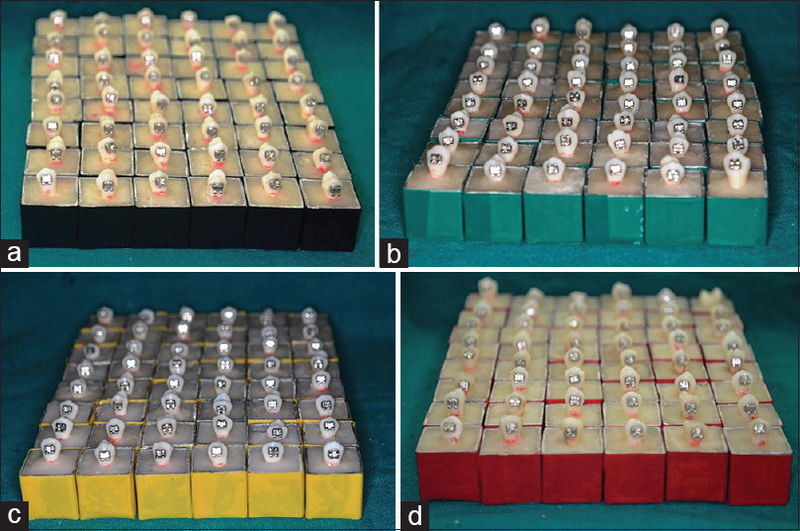 Polycarbonate crowns showed a statistically lower color change when exposed to 15% (0.9) than to 10% bleaching gel (5.1) or distilled water (5.5). Conclusions: Composite-based provisional material showed highest color stability when exposed to vital tooth bleaching gel, whereas methacrylate-based material was the least color stable. Polycarbonate crowns were more color stable when exposed to 15% bleaching gel as opposed to 10% bleaching gel. Background: Oral submucous fibrosis (OSMF) is a chronic insidious disease affecting any part of the oral cavity and sometimes the pharynx. It is a collagen-related disorder predominantly associated with tobacco/areca nut chewing habit and characterized by progressive hyalinization of the submucosa. Prevalence of OSMF is 2.01%, and malignant transformation rate of 2.3%-7.6% has been reported in the literature. Measures such as forcing the mouth open and cutting the fibrotic bands have resulted in more fibrosis and disability. Aim: Various surgical treatment modalities have been advocated in the surgical management of OSMF with variable results. This retrospective study evaluates the efficacy of nasolabial flap in the surgical treatment of OSMF. Materials and Methods: Retrospective analysis of 42 patients who underwent surgical management of OSMF with mouth opening <20 mm by nasolabial flap at authors center from 2000 to 2015. Only the cases diagnosed as advanced OSMF based on long-standing positive history of habits (chewing tobacco, betel nut, etc. 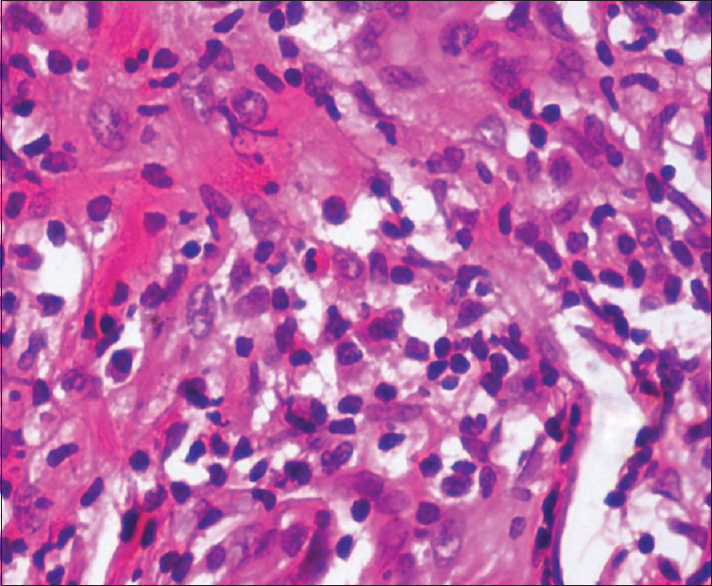 ), clinical and histopathological examination. OSMF due to other causes such as nutritional deficiency, immunological diseases, and systemic illness with medically compromised patients were excluded from the study. Inferiorly based nasolabial flaps were raised in the supramuscular plane and transferred intraorally through a transbuccal tunnel. Results: The study groups consist of 42 cases of clinical and histopathologically proven cases of OSMF treated by nasolabial flap. Out of 42 cases, 39 (92.85%) were males and 3 (7.15%) were females which showed a male predominance and the ratio was 13:1. The mean (standard deviation [SD]) preoperative mouth opening was 14.60 mm (3.06). After release of fibrotic bands, a mean forced intraoperative mouth opening of 36.27 (2.11) mm was achieved. The mean (SD) postoperative mouth opening was 33.05 mm (2.40) at the end of 2-year follow-up. The mean (SD) increase in mouth opening after surgical management at the end of 2-year follow-up is 18.46 mm (1.89). Sixteen out of 42 patients' histopathological report turned out to be dysplastic. The mean (SD) follow-up was 2.79 years (1.08). There was no incidence of infection in the transferred flap and the recipient site in all cases except one case with malignant transformation. All flaps healed without evidence of infection, dehiscence, or necrosis. Results were assessed by comparing the pre- and post-operative maximum mouth opening. Conclusion: The nasolabial flap is a versatile flap, which can be successfully used in the reconstruction of defects created after the release of fibrotic bands in OSMF. The versatility of the nasolabial flap has been attributed to its reliable vascularity derived from numerous vessels in the vicinity. Major advantage is the ease of elevation, proximity to the defect, suitable size for coverage of defect, minimal swallowing and speech difficulties, and a relatively cosmetic result as scar is in natural crease. All the cases treated for OSMF using bilateral nasolabial flaps showed adequate mouth opening at 2-year follow-up postoperatively, recommending its use. Objectives: The purpose of this study was to compare the effect of pre-etching with 37% orthophosphoric acid on the shear bond strength (SBS) of orthodontic brackets bonded using self-etching primer (SEP). Materials and Methods: Two hundred freshly extracted human premolars were divided randomly into two groups based on pre-etching with 37% orthophosphoric acid: Group 1 (control, n = 50) without pre-etching and Group 2 (experimental, n = 150) with pre-etching. Group 2 was further divided into three sub groups 2a, 2b, and 2c with 50 teeth each and was first pre-etched with 37% orthophosphoric acid for 10, 30, and 60 s, respectively. Brackets were bonded on the teeth in both the groups using SEP and light cure adhesive. The SBS were determined using universal testing machine. The comparison of SBS was done using one-way analysis of variance and Tukey's honest significant difference test. Results: The SBS of experimental Group 2 was significantly higher than the control Group 1 (p < 0.0001). Further, the SBS of Group 2a was highest, followed by Group 2b and 2c (p < 0.0001). Conclusion: It was found that pre-etching for 10 s prior to application of SEP-adhesive system increases the SBS of orthodontic brackets. Context: Both intraoral autogenous bone grafting (ABG) and platelet-rich fibrin (PRF) offer a useful treatment modality for periodontal regeneration of intrabony defects (IBDs). However, predictable regeneration in patients with severe attachment loss is a challenge to the practitioners. Aim: The aim of this study was to compare the clinical efficacy of PRF with ABG for the treatment of IBDs in chronic periodontitis. Settings and Design: This is a randomized controlled trial. Materials and Methods: Twenty chronic periodontitis patients with IBDs were randomly treated by PRF or ABG. Probing pocket depth (PPD), relative attachment level (RAL), surgical reentry bone fill, and radiographic bone fill (RBF) were recorded at baseline, 3, 6, and 9 months postsurgery, respectively. Statistical Analysis: Student's t-test was used for continuous variables. All means were expressed as mean ± standard deviation and proportions were expressed in percentage. The level of significance was set at P < 0.05. Results: Both PRF and ABG sites produced a significant improvement from baseline to 9 months for all the parameters. However, there was no significant difference between the two treatment modalities in the reduction of PPD and RAL gain at 9 months. In addition, ABG showed significantly greater RBF (30.34%) as compared to PRF (20.22%). Similar findings were supported by surgical reentry, where a surgical reentry of 65.31% at ABG sites and 43.64% at PRF sites was seen. Conclusion: Both ABG and PRF can be used predictably to reconstruct lost periodontal structures as indicated by PPD reduction and RAL gain. However, in terms of osseous defect fill, ABG yields more definitive outcome than PRF. Context: Rice bran oil, owing to its potential antioxidant benefits, could be an effective and novel alternative to sesame oil for oil pulling. As it is safe and a growingly popular edible oil, it may be acceptable during pregnancy, especially in the Indian context where women may be hesitant to use chemical plaque control methods for preventing halitosis. Aims: The present study was conducted to compare the effects of oil pulling with rice bran oil, oil pulling with sesame oil, and oil pulling with chlorhexidine mouth rinsing on reducing halitosis among pregnant women. 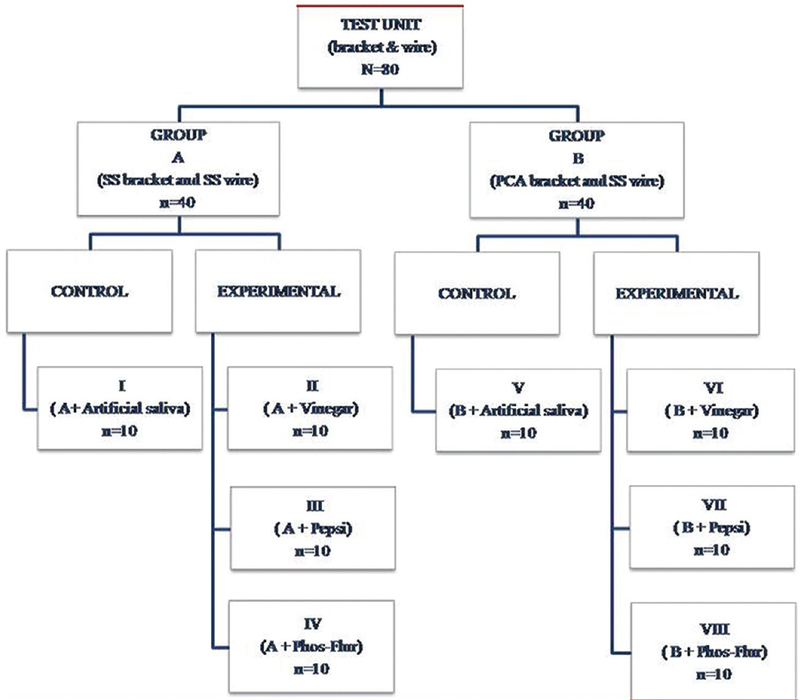 Settings and Design: Thirty pregnant women who attended the Gynecology Outpatient Department (OPD) of Muslim Medical Hospital, Haran Khana Road, Pani Gate, Vadodara, Gujarat, India, were recruited in the present randomized double-blind interventional study. Subjects and Methods: Eligible pregnant women individuals who gave consent for the study were randomly allocated to receive the interventions under investigation. Halitosis was measured at baseline and after 14 days of intervention using TANITA breath checker HC-212M-BL. Statistical Analysis Used: Data entry was done in Microsoft Excel 2007, and statistical analysis was performed using SPSS version 17. Wilcoxon signed rank tests were used to interpret the differences in baseline and postintervention halitosis levels. One-way ANOVA was done to compare the mean reduction in halitosis scores of the three intervention groups. Results: There was a statistically significant reduction in the grades of halitosis at baseline and 14 days after intervention for all the three groups. There was no statistically significant difference between chlorhexidine mouth rinsing, oil pulling with sesame oil, and oil pulling with rice bran oil in halitosis reduction. Conclusions: Rice bran oil when used in oil pulling was effective in reducing halitosis. It performed comparably and marginally superior to other agents tested in the study when change in halitosis postintervention was considered. Aim: To evaluate the changes of static and kinetic frictional forces between the brackets and wires following exposure to a soft drink, acidic food ingredient, and acidulated fluoride prophylactic agents. Materials and Methods: Two types of Roth prescription mandibular incisor brackets were used: 3M Unitek Victory stainless steel (SS) brackets (n = 40) and Transcend 6000 polycrystalline alumina (PCA) brackets (n = 40) as well as eighty 0.019 × 0.025" dimension ortho technology SS wires of 50 mm length each. Subsequently, brackets tied with SS wires divided into eight subgroups (n = 10) and were immersed in vinegar (pH = 3.5 ± 0.5), Pepsi ® (pH = 2.46), Colgate Phos-Flur mouth rinse (pH = 5.1), and artificial saliva (control group pH = 7) for 24 h. Changes in surface morphology under scanning electron microscope ×1000, surface roughness (Ra) with surface profilometer (single bracket and single wire from each subgroup), and frictional resistance using universal testing machine were evaluated. Results: Highest mean (standard deviation) static frictional force of 2.65 (0.25) N was recorded in Pepsi ® followed by 2.57 (0.25) N, 2.40 (0.22) N, and 2.36 (0.17) N for Vinegar, Colgate Phos-Flur mouth rinse, and artificial saliva groups, respectively. In a similar order, lesser mean kinetic frictional forces obtained. PCA brackets revealed more surface deterioration and higher frictional force values than SS brackets. A significant positive correlation was observed between frictional forces and bracket slot roughness (r = 0.861 and 0.802, respectively, for static and kinetic frictional forces, p < 0.001 for both) and wire roughness (r = 0.243 and 0.242, respectively, for static and kinetic frictional forces, p < 0.05 for both). Conclusions: Findings may have long-term implications when acidic food substances are used during fixed orthodontic treatment. Further, in vivo studies are required to analyze the clinical effect of acidic mediums in the oral environment during orthodontic treatment. Introduction: In an attempt to manage noncavitated carious lesions noninvasively through remineralization, a range of novel fluoride varnishes with additional remineralizing agents have been made available for clinical application. Aim and Objectives: The aim of this study was to compare and evaluate the remineralization potential of three commercially available varnishes on artificial enamel lesions. Materials and Methods: This in vitro study involves eighty intact enamel specimens prepared from premolars extracted for orthodontic purposes. After specimen preparation, the eighty samples were divided randomly into two groups (n = 40) for measurement of baseline surface Vickers microhardness and baseline calcium/phosphorus ratio (% weight) through EDAX testing. Thereafter, the specimens were subjected to demineralization for 96 h to induce initial enamel lesions and the measurements were repeated. Following demineralization, each of the two groups was divided randomly into four subgroups (n = 10) from which one was used as the control group and the others three were allotted to each of the three test varnishes. After varnish application, all the specimens were subjected to a pH cycling regimen that included alternative demineralization (3 h) and remineralization (21 h) daily, for 5 consecutive days. The Vickers microhardness and EDAX measurements were then repeated. Results: One-way ANOVA and post hoc Tukey's tests were conducted for multiple group comparison. All the three commercially available varnishes were capable of remineralizing initial enamel lesions that were induced artificially. No difference was noted in the remineralizing efficacy of the varnishes despite their different compositions. 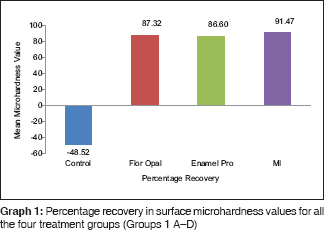 MI Varnish™ (casein phosphopeptide-amorphous calcium phosphate fluoride varnish) showed slightly better recovery in surface microhardness as compared to the other two varnishes. Conclusion: All the varnishes used in this in vitro study are capable of reversing early enamel lesions. Context: Extrinsic staining of acrylic resin dentures could be a major esthetic problem for denture wearers. Tea, coffee, cola, turmeric, and tobacco often cause extrinsic staining of dentures. Aim: To evaluate the efficacy of various denture cleansing materials in the removal of tea and turmeric stains and to compare the efficacy of those denture cleansers with each other in the removal of tea and turmeric stains. Materials and Methods: Heat-cured acrylic resin specimens were stained using tea and turmeric solutions. 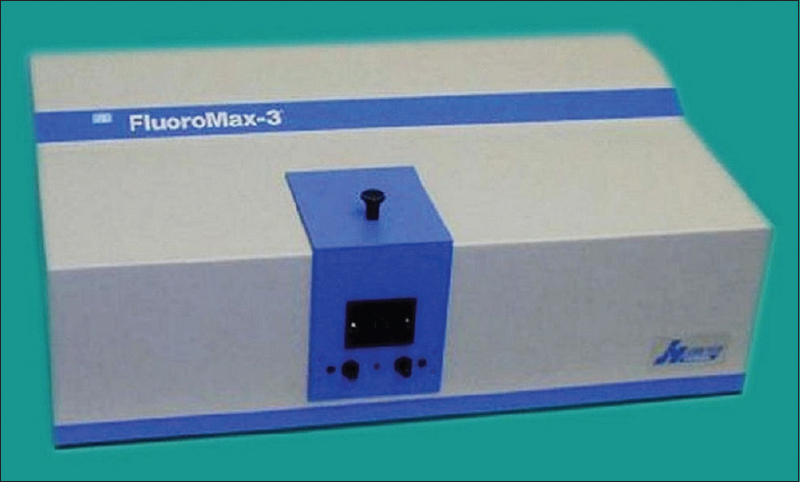 The spectrophotometer was used to determine the reflectance values of the samples and to evaluate the efficacy of various denture cleansing materials in removal of tea and turmeric stains. 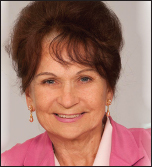 Three denture cleansers, namely, sodium hypochlorite, Safe plus, and Clinsodent were used in the study. Water was used as a control. Statistical Analysis Used: ANOVA test and post hoc Tukey's test were used to determine the statistical difference between the groups. Result: A statistically significant difference was found (p ≤ 0.05) between the different denture cleansing materials used. Products containing sodium perborate along with trisodium phosphate had the highest stain removing capability. Conclusion: It was found that all the denture cleansing materials used in the study were effective in removing tea and turmeric stains. Products containing sodium perborate along with trisodium phosphate had a comparatively greater stain removal capability than products containing sodium perborate along with sodium bicarbonate followed by products containing sodium hypochlorite followed by water (control). Background: Surgical site plaque accumulation is one of the challenging problems leading to unfavorable healing. The antibacterial sutures can be used to reduce or inhibit plaque formation. Presently there is no study comparing efficacy of sutures coated with triclosan and chlorhexidine in terms of oral biofilm inhibition and antimicrobial property against periodontal pathogens. Aim: The aim of present study was to evaluate the antibacterial efficacy and oral biofilm inhibition around chlorhexidine and triclosan coated polyglactin sutures in comparison to uncoated sutures. Materials and Method: Equal segments of chlorhexidine and triclosan coated polyglactin sutures (3-0) were incubated at 370°C in saliva collected from 10 chronic periodontitis patients for 7 days. Plain uncoated suture served as control. Biofilm formation was analyzed with Confocal Laser-Scanning Microscopy (CLSM) and Scanning Electron Microscopy (SEM). Quantitative assessment was done using Colony Forming Units (CFU/mL).The antibacterial efficacy of the sutures was tested against specific periodontal pathogens (S.mutans, F.nucleatum, A.actinomycetomcomitans, P.intermedia, P.gingivalis) using agar diffusion method. CLSM and SEM were not subjected to statistical analysis. ANOVA test was used for colony forming units and agar diffusion test. (P < 0.05) Results: CLSM and SEM showed substantial biofilm inhibition around chlorhexidine-coated sutures followed by triclosan-coated when compared to plain uncoated suture. The antibacterial coated sutures showed statistically significant difference in CFUs/ml and zone of inhibition compared to plain uncoated sutures. Among coated sutures, chlorhexidine-coated sutures showed better results. Conclusion: The antibacterial coated sutures have a promising potential in preventing the colonization of periodontal pathogens around it thereby inhibiting biofilm formation. Aims: The aim of this study is to retrospectively determine the prevalence of impacted second molars and associated dental and radiographic findings in South Indian population. Settings and Design: Cross-sectional design. Materials and Methods: Dental records of 4976 patients depending on the selection criteria from various dental clinics in South India were retrospectively analyzed in this study. All selected radiographs and records were examined by the two authors. 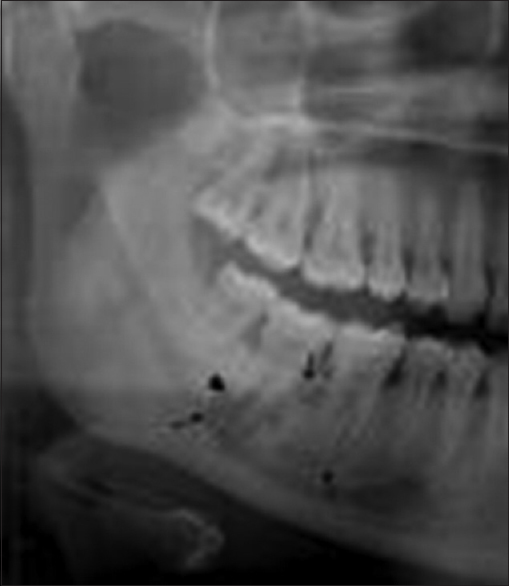 The angle of impacted second molars was also recorded on panoramic radiographs. Data were tabulated and analyzed. 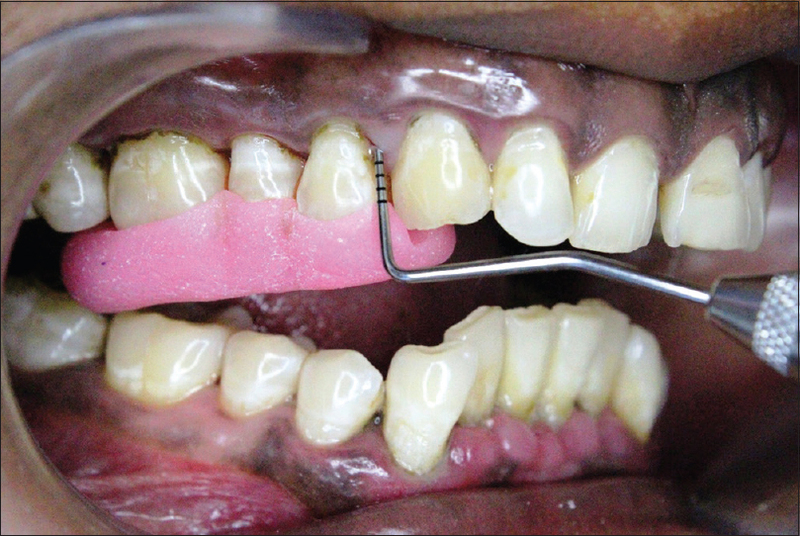 Results: The prevalence of impacted second mandibular molars was found to be 0.16%. In seven cases, the impaction was unilateral with three on the left and four on the right, and in one case, it was bilateral. The prevalence was found to be more in females than males. The angle of impaction was found to range from 19° to 80°. Conclusions: Although the prevalence of impacted second molars is low, it is crucial to diagnose early for optimal treatment. Aim: Idiopathic osteosclerosis (IO) is a localized radiopacity with no associated pain, bony expansion, symptom, or known etiology. The aim of this study was to assess its frequency and distribution according to its location and patient's age and gender and internal structure using panoramic radiography. Subjects and Methods: In this retrospective study, 3975 panoramic radiographs (PRs) were used. Radiopaque regions which had no certain relationship to any known sources of hard tissue production were accepted as IO and characteristics such as shape, location, internal structure, and personal information were investigated. Statistical Analysis Used: The obtained data were evaluated using SPSS software and Chi-square test. Results: IO was found in 113 (2.84%) out of 3975 patients. The most frequent site was the posterior region of mandible. There was no significant difference in the incidence of IO between genders (P = 0.766). Conclusion: IO is an asymptomatic radiopaque mass commonly seen in PR, which was found mostly in the first molar region of mandible. Furthermore, its maximum frequency was in the second decade. Introduction: Dental caries is the most common chronic disease of childhood that interferes with normal nutrition intake, speech, and daily routine activities. Dental caries is a lifetime disease, and the highest priority risk group is school children. Aim: To assess the prevalence of dental caries and treatment needs among school going children of Chandigarh. 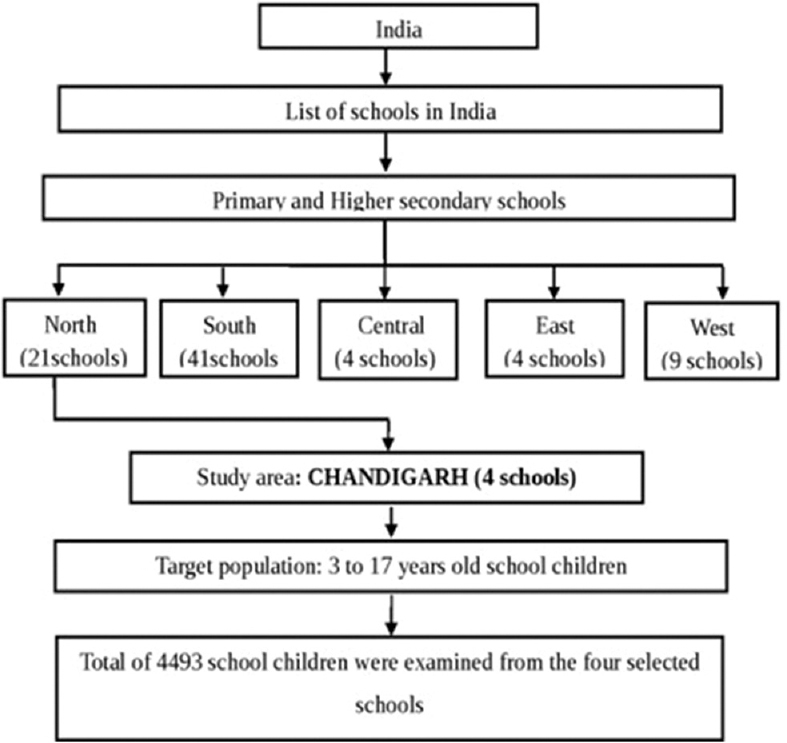 Materials and Methods: A cross-sectional study was done among school going children of Chandigarh in the age group of 3-17 years. The subjects were selected from four randomly selected schools. All the children from the selected schools were examined. A total of 4493 subjects formed the sample size. Dentition status was assessed using dft index by Gruebbel for primary dentition and DMFT index by Klein, Palmer, Knutson for permanent dentition, respectively. Chi-square test was used to find an association between the study variables. Independent t-test and one-way ANOVA were used to compare the mean difference. Results: Among the 4493 study subjects, caries prevalence was found to be 47.3%. Mean dft and DMFT score of the population was 1.06 ± 1.995 and 0.41 ± 1.022, respectively. When analyzing the treatment needs among various age groups 42.6% of the study subjects required oral prophylaxis and 45% required restorative procedures. Conclusion: Based on the findings, it can be concluded that high prevalence of caries was found in primary dentition than permanent dentition and most of the decayed teeth were untreated. This study emphasize the need for treating dental caries at its earliest possible stage and parents should be made aware of caries preventive measures for their children. The eye is a vital organ and an important component of facial expression. Loss of an eye has a crippling effect on the psychology of the patient. 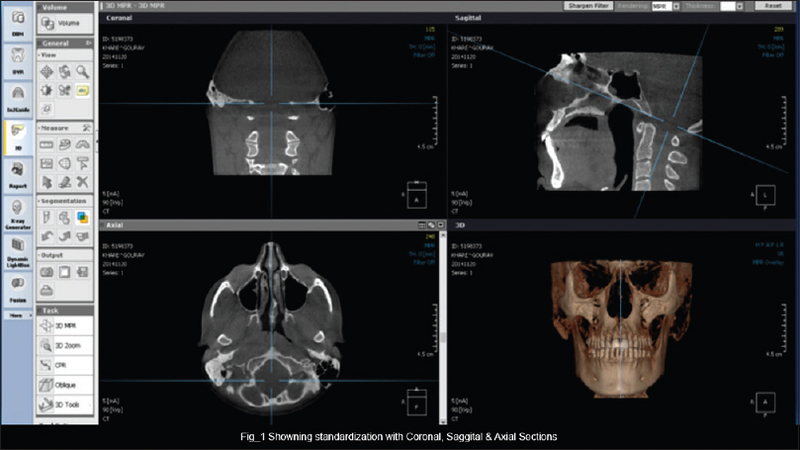 Maxillofacial prostheses restore and replace stomatognathic and associated facial structures with artificial substitutes. The objectives of eye prosthesis is to improve the patient esthetics, restore and maintain the health of the remaining associated structures, consequently provide physical and mental well-being. The primary purpose of an ocular prosthesis is to maintain the volume of eye socket and create the illusion of a healthy eye and surrounding tissue. A custom ocular prosthesis is a good option when reconstruction is done by plastic surgery, and osseointegrated implants are either not possible or not desired. 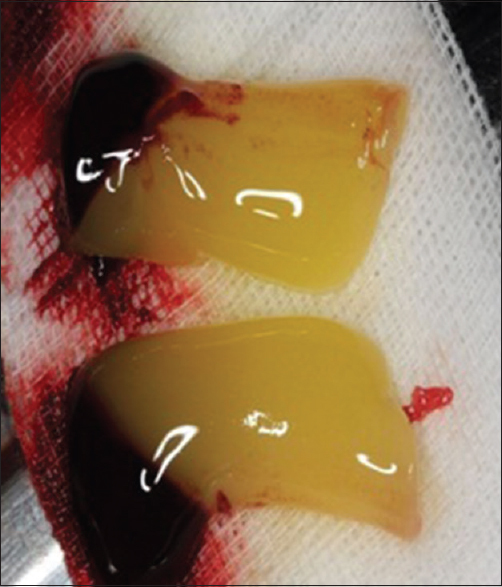 A case of a custom-made ocular acrylic prosthesis is presented with acceptable fit, good retention, and esthetics. Plasmablastic lymphoma (PBL) represents a rare type of non-Hodgkin lymphoma associated with human immunodeficiency virus (HIV) infection. The impact of highly active antiretroviral therapy (HAART) in this tumor is poorly known due to its small incidence. This study reports a case of a 33-year-old HIV-positive woman who was referred to the Stomatology Department complaining about a painful gingival growth and cervical nodule both with 20 days of evolution. 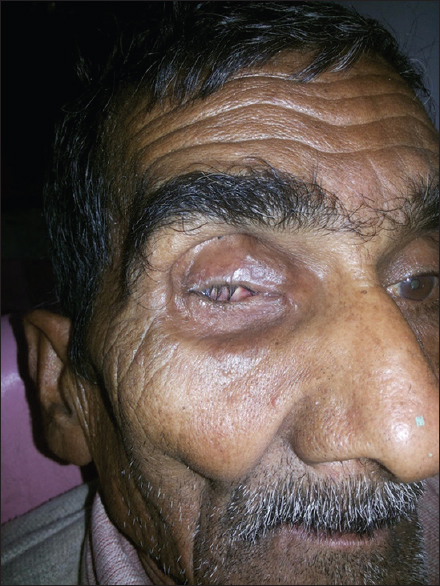 The lesions appeared 7 months after the patient stopped HAART. The final diagnosis was PBL. After resuming HAART for 45 days, the gingival lesion presented complete remission. The patient continued with HAART alongside chemotherapy. At 24 months follow-up, the patient was stable. The dental surgeon plays an essential role in orientation and retention in care of HIV patients once the adherence of HAART seems to play an important role in PBL development and response to treatment.